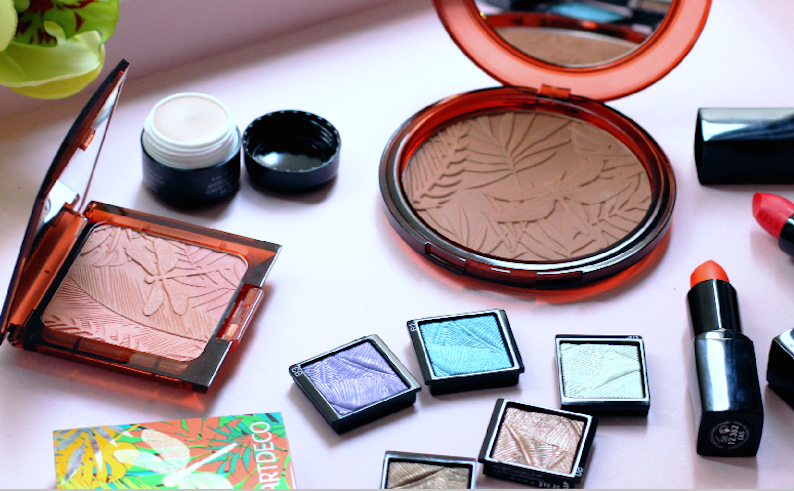 A few weeks back in March i was invited along with some other fashion & beauty bloggers at the Yoshi’s Contemporary Art Gallery where we were talked through the new „Jungle Fever“ collection by Artdeco. I guess this beauty-related post may come as a surprise for those that have followed my blog for a while but i have to confess that when i was a teenager i was really interested in all kind of beauty products just because my mom worked as a beautician for many many years and she actually taught me lots of skills that i needed later on down the road (and sometimes i like to switch things up and try out something new when it comes to my blog!). I know that I’m probably a bit late posting this but somehow it was my intention to try out every single product before writing about it and since i have been a little uninspried recently i also wanted to post my interpretation of a jungle look and escape from my daily routine. 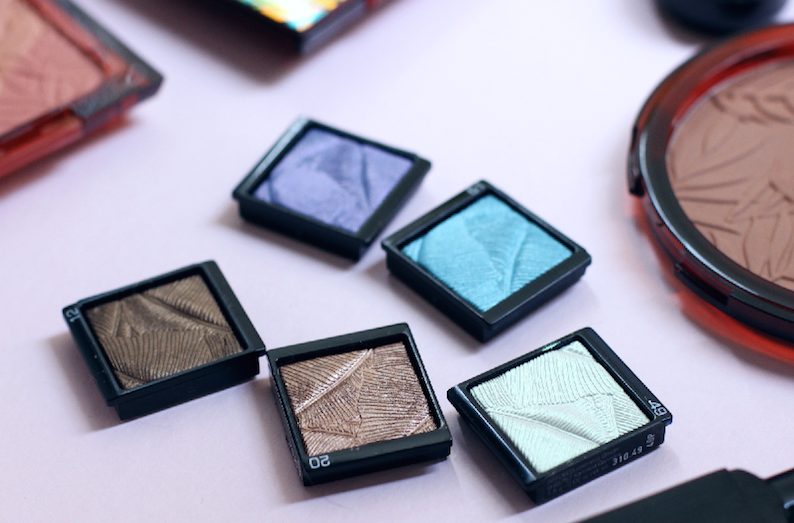 Unfortunatley i had no green eyeshadow so i went for the blue one (61 Jungle river) which i applied wet to get a more intense and brighter color payoff! The other favorite product of mine is definitely the Bronzing Powder Compact SPF 15 No.2 which i have been using ever since i received it. You can tell that I use it to contour my cheeks rather than putting it where the sun would naturally hit and i have to say that it’s really quick and easy to blend. I also tried out one of the Art Couture Lipsticks and i know a lot of people choose over something with far more pigmentation but somehow i really liked the texture and finish. Both of them apply quite sheer and feel very light on the lips which is in my opinion perfect for the hot summer days! 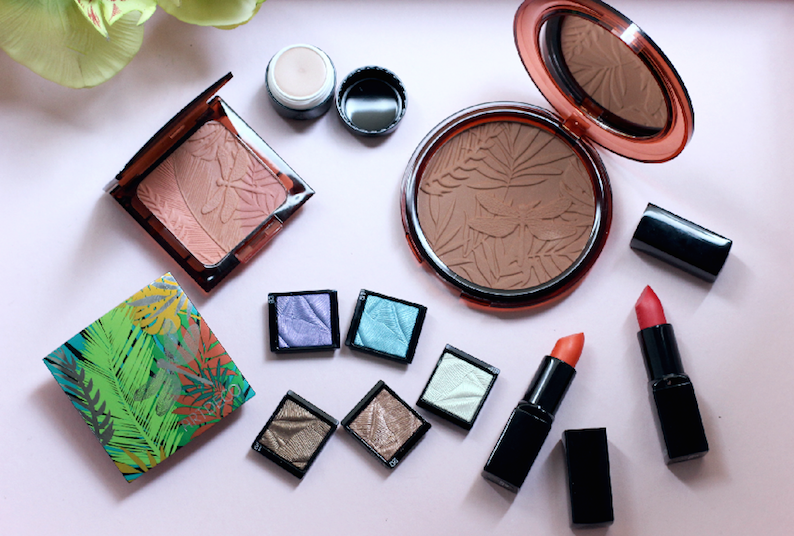 Overall, I was really impressed with the quality and not to forget the cute packaging of the Artdeco Jungle Fever line. Das sieht so toll aus!!! thats awesome!so in love with the look!